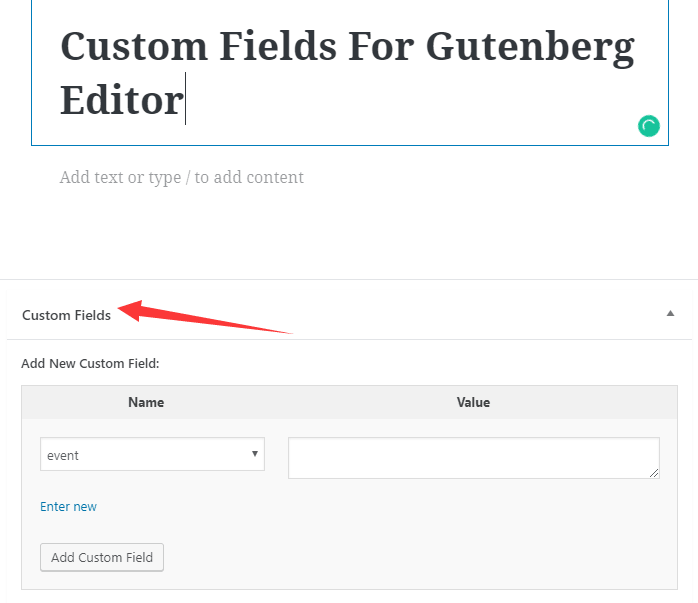 A simple WordPress plugin that adds custom fields to the brand new Gutenberg Editor. 1. Search the ‘WP Custom field for Gutenberg Editor’ plugin on the ‘Add Plugins’ page. 2. Install, activate the plugin and you’re done.